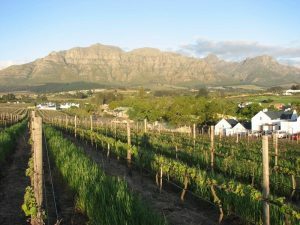 In general, players in the modern South African wine industry have been relatively slow to recognise the importance of brand-building, preferring the micro approach of marketing centuries-old buildings, terroir-driven vineyard sites and finely-tuned artists working among a few rows of barrels lined-up in a dank cellar. With the importance of economy of scale in driving a successful business coming increasingly to the fore as a non-negotiable part of the business model, Brand Building in Wine 101 is now all the rage, and one of the names popping up on the case-study list is Stellenbosch’s Kleine Zalze. 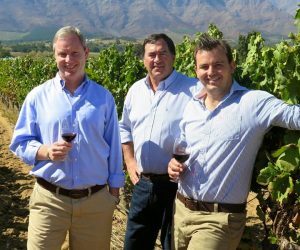 Scarcely 20 years after being founded by former legal-eagle and Stellenbosch local Kobus Basson, Kleine Zalze has become one of the power-houses in the South African wine industry. The ever-present brand with the gutsy Mark-of-Zorro slash on the label is one of the conquerors of the local and international retail shelves and restaurant wine lists. Making an array of varietal wines and blends at various tiers and diverse price points, Kleine Zalze’s commercial success is backed by a commitment to producing wines of exceptional quality more than able to compete with those made by smaller estate-focussed wineries. 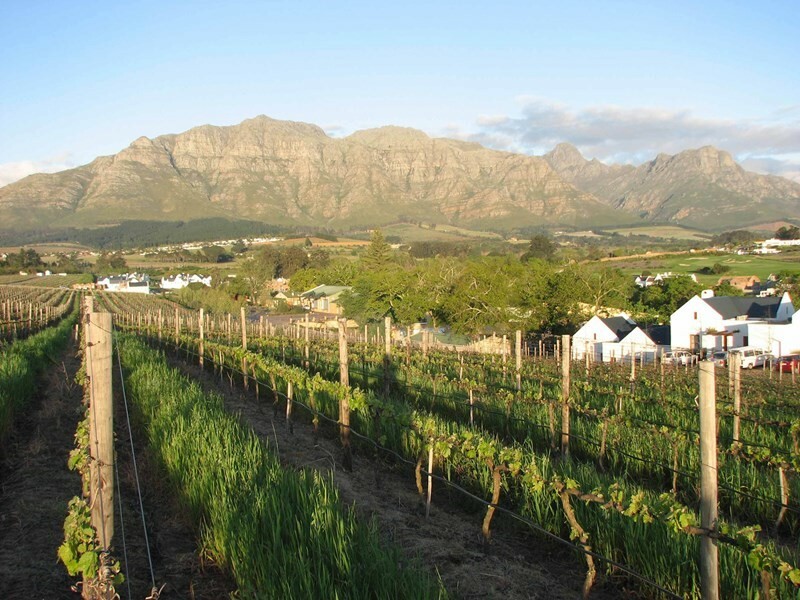 Brand-awareness, diversity of offering and quality wines are complemented by Kleine Zalze’s position as one of Stellenbosch’s premier tourist destinations, largely helped by the classy Terroir Restaurant, one of region’s first forays into wineland fine-dining, and still going strong. This is a set-up that Alastair Rimmer, who took-over the reins as Kleine Zalze cellar master in the spring of 2014, relishes. He likes to fly with broad wings. After his BSc in Viticulture and Oenology at Stellenbosch, Alastair worked stints at Overgaauw, Agusta and Vergelegen before heading out to see the rest of the world, and make wine in it. Kleine Zalze team, from left: cellarmaster Alastair Rimmer, owner Kobus Basson and winemaker RJ Botha. Alastair’s international foray lasted nine years, including gigs in places such as New Zealand’s Marlborough, Jumilla and Alicante in Spain, California’s Napa Valley and the famed Rockford Wines in South Australia. This philosophy ascribes to what Kleine Zalze has always set out to achieve. Despite the reference to grapes having been grown here, somewhere in 1695 by the usual European immigrant, Kleine Zalze’s sweet-spot lies in making good to excellent wines in eye-watering volumes. Besides the 70ha of vines on the Klein Zalze property itself, Alastair and his team oversee and source grapes from various growers in other pockets of Stellenbosch as well as further-lying areas of the Cape. He says Cabernet Sauvignon is what does best here on Kleine Zalze, which is also planted to Shiraz, Merlot, Chardonnay, Viognier and Chenin Blanc. 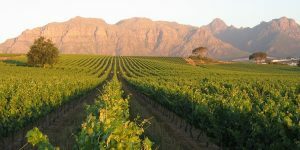 And it is also a variety that has enabled Kleine Zalze to off-set its image of a high-volume producer with a proven ability to make some of the finest wines in the country. Kleine Zalze Vineyard Selection Cabernet Sauvignon 2015 took a five-star rating in this year’s Platter’s Wine Guide, while the Family Reserve 2009 was last year named as one of the international Decanter magazine’s Top 35 New World Cabernets. Alastair takes a comfortable jump from Cabernet Sauvignon to Chenin Blanc, fitting right into the ethos of Kleine Zalze and what the brand does best. And Kleine Zalze is right up there with the best. At last year’s Standard Bank Chenin Blanc Top 10 Challenge, the leading South African showcase for this variety, Kleine Zalze took two Top 10 spots, namely with the Family Reserve Chenin Blanc 2015, Vineyard Selection Barrel Fermented Chenin Blanc 2015. It is possibly the Kleine Zalze Chenin Blanc range that expresses this the best. The first-level unwooded Cellar Selection Chenin Blanc 2017 offers the zesty, clean white wine flavours Chenin has become so popular for. Well made to the demands of purity and talkative fruit Alastair wants, it is made in enough volumes to sate the thirst of the hundreds of thousands of fans this wine has. While in the Chenin Blanc Family Reserve 2016, wooded and made from old vines, there is a creaminess and opulence of a great white wine, daunting complexity and fullness lined with more-ish notes of lemon meringue and fresh pears. This is the kind of multi-layered, sophisticated white wine one would expect from a winemaker like Alastair who confesses to a weakness for the Rieslings of the Mosel and Burgundian Chardonnay. Of the Cabernet Sauvignon, Kleine Zalze offers the two personalities this marvellous grape is capable of owning. The Vineyard Selection 2015 bears a powdery whiff of dry flowers, with the dryness continuing in the palate where supple tannins give why to fynbos, red fruit and li-smacking juiciness. After the glory, comes the power, and the Klein Zalze Family Reserve Cabernet Sauvignon 2013, like the top-end Chenin Blanc, proving that a ubiquitous and visible brand is more than capable of making masterly wines. This Cabernet is plush and sappy, awash with thundering waves of dark berries, pine-needles and something deliciously savoury. Not to be taken lightly, and possibly overpowering for the faint of heart, this wine makes a statement. Like the “Z” of Zorro carved onto your chest, the wine leaves its mark in a visceral and lasting way, ensuring you are branded for life.